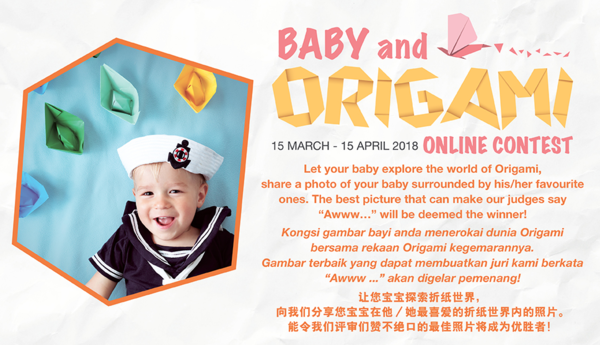 Participate in this Baby and Origami contest organized by Parkson, snap the best photo with your baby surrounded by his/her favourite origami to win the grand prize! Explore the world of Origami with your baby and snap a photo of your baby surrounded by his/her favourite origamis! The best picture wins the grand prize worth RM20,000! Click on Learn more below for more details!